A very short booklet meditating on Hebrews 13.5-6, "Keep your life free from love of money, and be content with what you have, for he has said, “I will never leave you nor forsake you.” So we can confidently say, “The Lord is my helper; I will not fear; what can man do to me?” Armand P. Tiffe, Pastor Emeritus of Cornerstone Community Church in Mayfield Heights, Ohio, takes the reader through the encouraging exercise of dwelling and meditating on God's own promise in these verses. 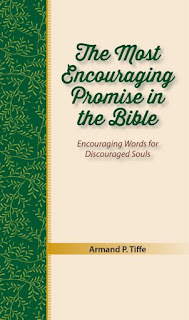 The author wants the reader to remember "this great promise, especially during the difficult times of life" (11). 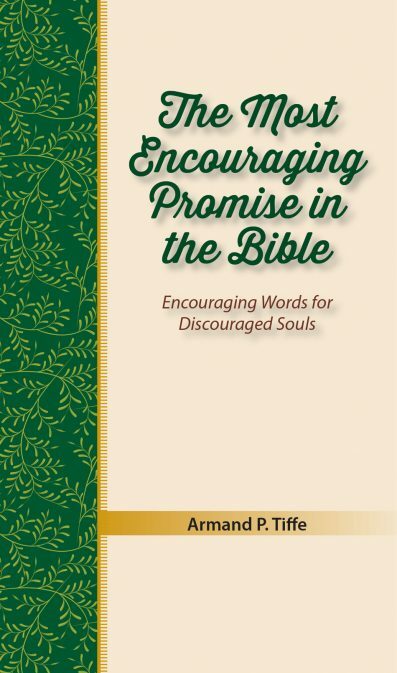 "The Most Encouraging Promise of the Bible" is ideal for your church's pamphlet rack. It can be used in counseling homework. But most of all, it needs to be read by Christian men, women, girls and boys who are in deep trouble, walking through the valley of the shadow of deep darkness, who find themselves in a dry and weary land where there is no water. I highly recommend the booklet.